It's time to get busy crafting with your kids again. This month our challenge is to make something with a summer food theme. Here is a photo of what the girls made for you. All it took was a couple simple cirlces cut with my Cricut and they could do the rest. How easy is that! Below is another example from a junior member of the Bugaboo design team. 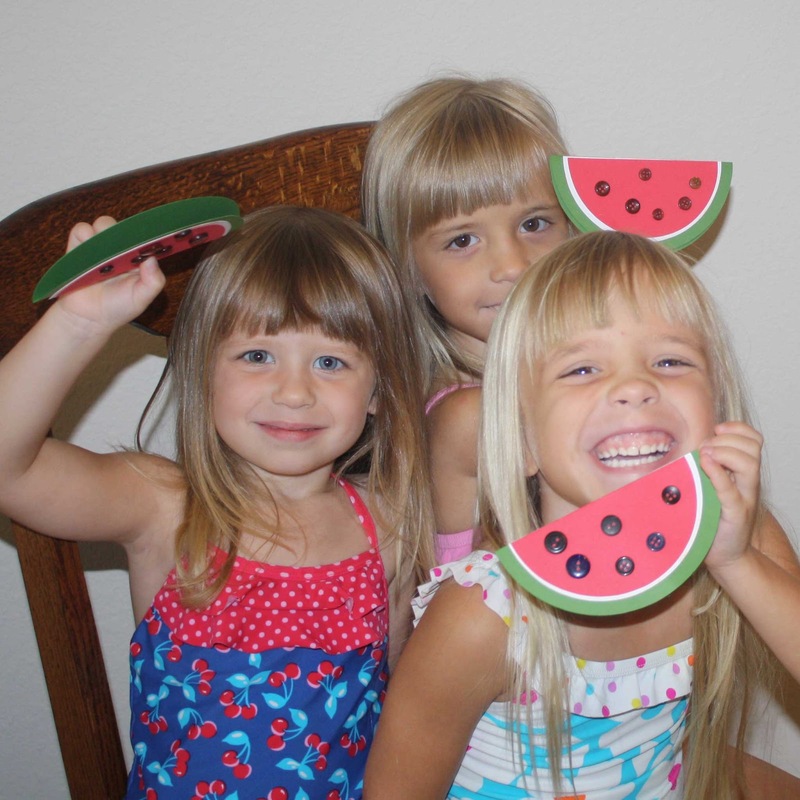 Looks like we both think of watermelon when we think of summer! Not it's your turn. Any creation having to do with a summer food. Blog about it and then link up here. 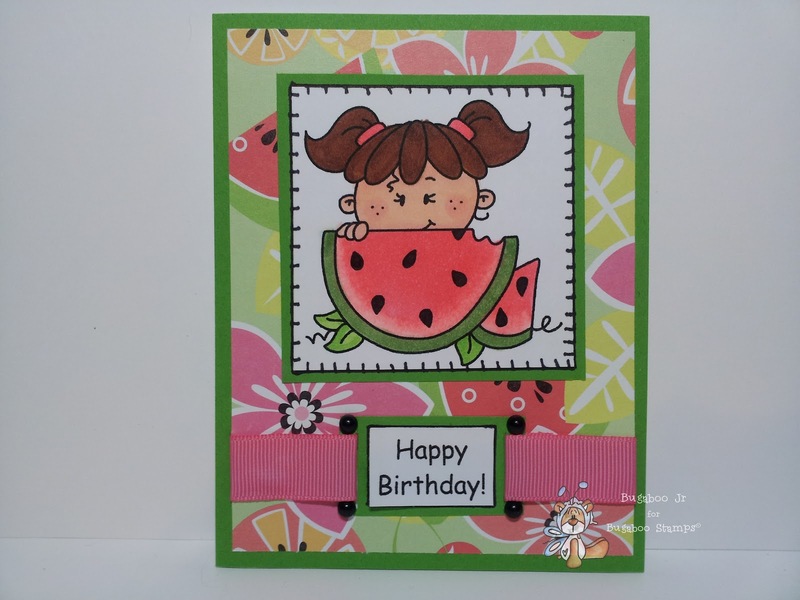 You could win 7 free images from our generous sponsor, Bugaboo Digi Stamps. Another fun challenge!!! Nathan had a blast! Thanks!